Lots of exciting things are happening in the lab. Our first MCB student, Courtnee Clough joins the lab! My Adjunct appointment in the Department of Genome Sciences has been approved, so I can officially mentor graduate students. We also received an R21 grant from NHLBI to generate transfusable red blood cells from iPSCs, and a Discovery Research Grant from the EvansMDS Foundation to study SF3B1 mutations in MDS. Most importantly, we had our first lab outing at Alki Beach this summer (with Frodo – the official lab pug). Doulatov lab is awarded 2017 Jaconette L. Tietze Young Scientist Research Award. See the announcement here. Thank you to the Tietze Foundation Trust for their support! Doulatov lab welcomes our first MCB rotation student Courtnee Clough. Excited to have her with us during the fall quarter! 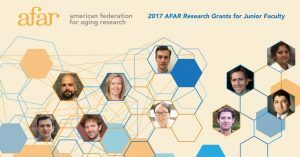 Doulatov lab is awarded a Research Grant for junior faculty from the American Federation for Aging Research. Thank you AFAR for supporting our research! We co-author Haematopoietic stem and progenitor cells from human pluripotent stem cells published in Nature. Congrats to the Daley lab! Postdoctoral fellow, Xinyan (Lucia) Liu joins the lab. Lucia completed her Ph.D. with Dr. Feng Liu at the Chinese Academy of Sciences. 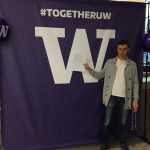 Doulatov lab receives the Safeway Early Career Award in Cancer Research. Thank you to Safeway Inc. for supporting our research! Our Preview for Ho et al. Nature (2017) is out in Developmental Cell. Drug Discovery for Diamond Blackfan Anemia using Reprogrammed Hematopoietic Progenitors is published in Science Translational Medicine. Research Scientist, Jasper Hsu joins the lab. Jasper completed his M.S. in Bioengineering at the University of Southern California. Massiel Stolla receives a pilot award from the Centers of Excellence for Hematology (CCEH) at Fred Hutch. Congrats Massiel! Doulatov lab receives a pilot award from ITHS. Postdoctoral fellow, Massiel Stolla joins the lab. Massiel completed her Ph.D. with Dr. Jim Pallis at the University of Rochester. Doulatov lab is open for business!